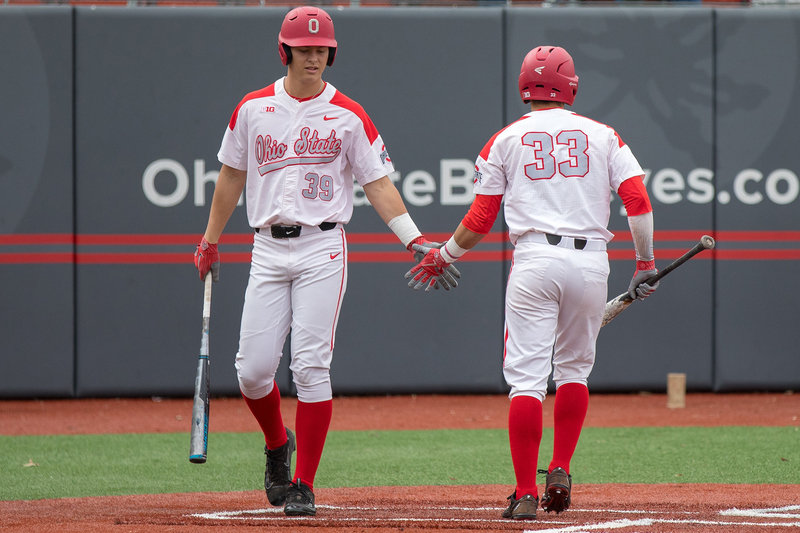 COLUMBUS, Ohio – Collegiate summer ball leagues officially came to a close over the weekend and several Buckeyes had standout summers across the country. Rising junior outfielder Dominic Canzone, a 2018 summer league All-Star, shined in the Cape for the Brewster Whitecaps, batting .276 (32-for-116) with three doubles, one triple, one homer, 11 RBI in 30 games. He hit .500 (9-for-18) with two doubles, one triple, two RBI and two walks in the CCBL Playoffs. Jake Ruby – A 2018 summer league All-Star, Ruby batted .321 (26-for-81) with five doubles, one triple, two homers and 17 RBI in 23 games for the Baltimore Dodgers in the Cal Ripken League. Thomas Waning – The Ohio State right-handed relief pitcher went 6-3 with a 1.98 ERA in 20 games with 29 strikeouts in 31.2 innings of work for the Terre Haute Rex. He struck out a season-high seven in four innings of relief work in his final summer league appearance Aug. 2. Griffan Smith – 1-3 with a 4.59 ERA in nine starts for the Chillicothe Paints in the Prospect League. He has struck out 50 in 47.0 IP. Conner Pohl – The rising junior batted .330 (37-for-112) with 21 runs scored, seven doubles, four home runs, 20 RBI and nine walks for the Champion City Kings in the Prospect League. Jake Vance – The rising junior right-handed pitcher went 2-2 with a 4.39 ERA with 27 strikeouts in 28.2 innings of work for the Baltimore Dodgers in the Cal Ripken League. Andrew Magno – The OSU lefty struck out 27 batters in 17.2 innings of work in 10 relief appearances for the Kings. He fanned a season-high six in 5.1 innings of relief last July 11 vs. Butler. Seth Lonsway – The Ohio State left-hander struck out 28 in 23.0 innings of work in seven appearances for the Champion City Kings. Tossed a combined no-hitter with teammate Jonathan Jahn July 16, striking out nine in six innings of work to claim the win. Jonathan Jahn – Fanned a season-high seven in four innings in a start for the Kings July 11. Was a part of the combined no-hitter with teammate Seth Lonsway July 16, fanning four in three innings of relief to claim the save for the Champion City Kings.